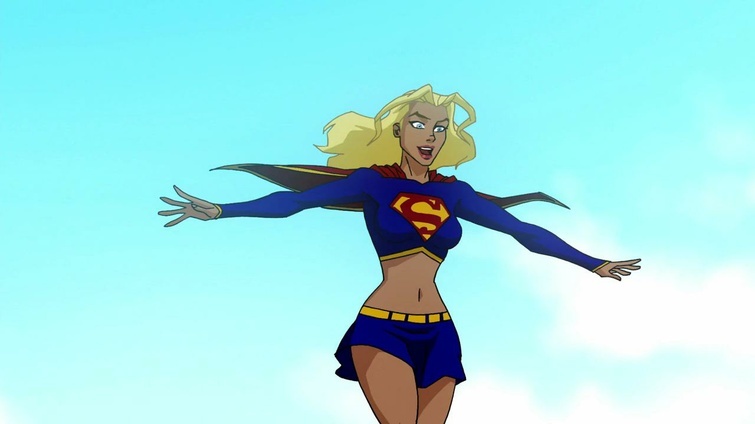 Based on a storyline (The Supergirl from Krypton) from the DC Comics series Superman/Batman (Writer: Jeph Loeb, Artist: Michael Turner), Superman/Batman Apocalypse is the latest direct-to-video animated film to showcase the rich history of DC Comics. It brings together some of the world's most popular comic book characters, icons in their own right such as Superman, Batman, Wonder Woman and Supergirl. For me, the highlight of this movie was that the artwork based on the original drawings by the late Michael Turner which truly pays homage to this amazing artist. 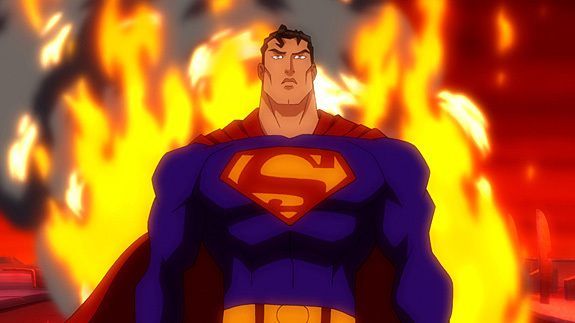 Superman/Batman Apocalypse is somewhat of a sequel to the excellent Superman/Batman Public Enemies movie which saw Lex Luthor turn the world against these heroes. Of course the heroes succeeded! This current film revolves around the 21st century introduction of Supergirl to the DC mythos and begins with Batman (Kevin Conroy) investigating a meteor crash in Gotham City Harbor. While investigating, he discovers that a ship has crashed into the harbor and with it, there is a young woman with superman-like powers who is causing havoc with her powers. As the world's greatest detective subdues the girl with kryptonite, Superman arrives to help solve this mystery. We soon learn that the girl is Kara Zor-El (Summer Glau), the biological cousin of Kal-El, Superman (Tim Daly). As Superman attempts to indoctrinate his cousin into the world of man, Batman is still weary about this alien and calls upon Wonder Woman (Susan Eisenberg) and her Amazonians to take her to Themyscira to not only be trained by the Amazons but to keep her away from mankind until she has learned to control her powers. 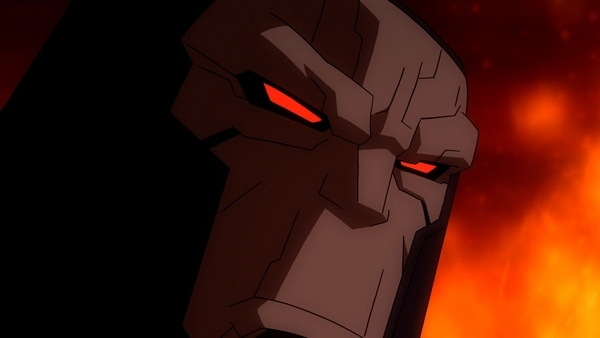 However unbeknown to the heroes, a godlike being called Darkseid (Andre Braugher) wishes to possess the female Kryptonian as his ultimate soldier and sends forth an army of Doomsday monsters as a diversionary tactic to abduct Kara. From here, Superman, Batman and Wonder Woman seek the assistance of Big Barda (Julianne Grossman), a former female fury of Darkseid and together they plan on bringing Kara back to Earth. But is it too late once Darkseid has brainwashed the young Kryptonian? After watching the story of Superman/Batman Apocalypse, I realised that this is the perfect interpretation of these characters and there are some great DC Comic cameos in this film. The pacing is great for those who may not be familiar with the world of DC Comics, it introduces each character and gives the viewer a great insight into their personalities. For example, even though Batman only says a handful of lines in the movie, you really get a sense of his purpose and why he donned the persona of Batman. Even though Batman and Wonder Woman are in the story, it's really a Superman/Story tale and explores the relationship between the two cousins. It's quite a joy to watch and Superman definitely acts like the big brother with Kara the innocent who is oblivious to the dangers that surround her. Apart from the well written story, the action sequences are amazing to watch, especially the battle between Superman and Darkseid. Batman, the only mortal in this movie once again proves why he is one of the most intelligent man on Earth and has several standout moments in the movie. The star of the movie is unquestionably Kara, thanks to the talents of Summer Glau who truly captures the inner soul of the maid of might, Supergirl. 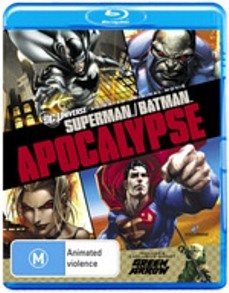 With a M15+ rating in Australia, Superman/Batman Apocalypse is definitely not for small children and cements the fact that comics are now for a more mature market. The video quality on Blu-ray is visually quite stunning with vibrant colours, amazing animation which pays homage to Michael Turner. Add in some impressive animated choreography and this is definitely like a comic book come to life. The audio is equally impressive, especially the battles between Superman & Kara and the Amazons versus the Doomsday monsters. The dialogue is clear and the soundtrack is quite majestic that suits the superhero premise. For special features, Warner continue to be the leaders in this field. This disc has everything from bonus episodes from the TV Series, featurettes, character profiles, a behind the scenes look at the upcoming All-Star Superman movie and my favourite, a 10-minute DC Showcase that revolves around the emerald archer, Green Arrow. This is one value packed Blu-ray release! Featurette: Supergirl: The Last Daughter of Krypton comprehensive look at The Maiden of Might from her introduction in the classic age of comics to her death in the "Crisis on Infinite Earths" crossover event to her appearance on Smallville and beyond. 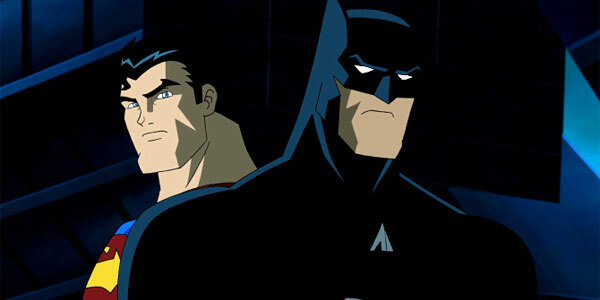 If you're a fan of DC Comics or appreciate well made animated movies than Superman/Batman Apocalypse is for you. Filled with action, drama and excitement, this is how animated films should be made and without it being dumbed down, it is still quite accessible by old and new fans of DC Comics.